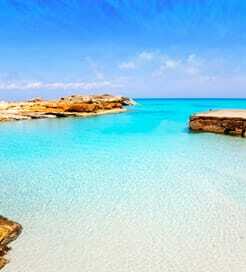 Formentera is the smallest and most southerly island of the Balearic group, located around four miles south of Ibiza. The majority of visitors head to the island between May and October, though Formentera rarely gets as crowded as neighboring Ibiza, Mallorca or Menorca. Out of season, the beaches are virtually deserted, bars and restaurants, if not closed are empty and the island is reclaimed by locals. 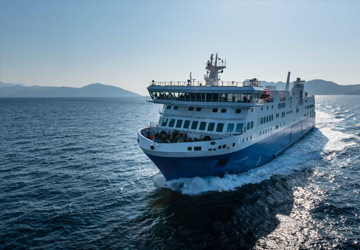 For more information, please visit our Ferries from Spain to Formentera page. For more information, please visit our Ferries from Ibiza to Formentera page. For more information, please visit our Ferries from Mallorca to Formentera page.